It is the mission of the Sprayberry High School Band Program to develop a lifelong appreciation for music and the arts within each of our students. In addition, we strive to help students build skills that will allow them to be valuable members of society once they graduate Sprayberry High School. This Week In Band or "TWIB" is our weekly newsletter about all of the upcoming band activities for the week ahead. Stay up to date with our band calendar of events, practices, rehearsals and concerts. The Southern Invitational Music Festival is one of the most prestigious and longest running marching band events. The 2019 Marching Band Kick-off and Registration will be held on Thursday, April 18th 2019. The Kick-off meeting will be the first official act for students and parents looking to participate in the Sprayberry Band of Gold. The meeting will cover all of the basic information about Sprayberry Marching Band in addition to providing registration information for parents and students. 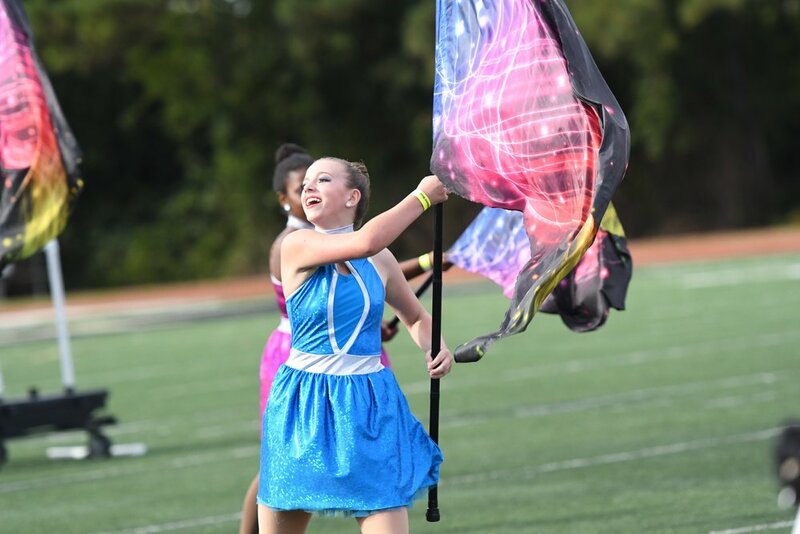 The Band of Gold is open to any student musician or color guard student attending Sprayberry High School in the Fall of 2019. Braves Concessions are our biggest and most valuable fundraiser. Get your band fees reduced or paid! For the 2019 season, we will be running “The Market” at Suntrust Park. This fundraising opportunity brings money into the Sprayberry Band Booster Association's General Fund and gives parents an opportunity to off-set student fees. It's a great opportunity and we need you on board the CHOP TEAM! Band Camps are one of the most memorable activities for any high school band student. We will have a series of camps before school starts to get ready for the coming season. Band Camp attendance is critical to the success of the Band of Gold. Any student participating in marching band is required to attend. Camp activities include: Learning marching and playing basics, learning field show music, learning field show drill and choreography, meeting new friends and having tons of fun!